Hiro 3.0 laser, the most powerful therapeutic laser in the world! American Health & performance Center is the official USA Training center for the Hiro 3.0 laser, which is currently used to treat many professional athletes including the Los Angeles Clippers! Now American Health & Performance Center, under the guidance of Dr Bradley Frederick, has standardized and proven specific protocols for high powered lasers. American Health & Performance Center has established unrivaled protocols for treatment with laser therapy which have set the bar for managing and treating a variety of injuries. American Health & Performance Center have some of the most advanced, powerful, painless and effective therapies available today. The worlds highest powered therapeutic laser with proprietary laser protocols have been designed to coordinate the beneficial effects of the Lasers simultaneously and effectively on pain and inflammation, while working on deep seated pathologies in absolute safety. The evolution of American Health & Performance Centers Laser Therapy clinics will change the future way we treat injuries. We own four of the worlds most powerful therapeutic lasers and designed specific treatment protocols which makes us capable of penetrating the skin and muscle without damaging the tissue! We utilize low level lasers for other more superficial conditions such as Carpal Tunnel. Offering the most advanced integrated and holistic approach to spinal health and well being! "Bodybuilders and fitness people have been using chiropractic very extensively in order to stay healthy and fit. I found it was better to go to a chiropractor before you get injured. 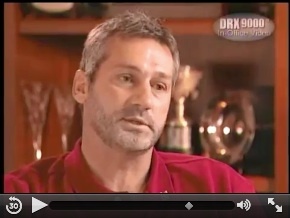 We are a perfect team, the world of fitness and the world of chiropractors." "Being a Chiropractic patient has really helped me immensely ... lifting weights and seeing a Chiropractor on a regular basis has made me a better golfer. I've been going to Chiropractors for as long as I can remember. It's as important to my training as practicing my swing." At American Health & Performance Center a patient-centered approach focuses on the patient rather than the disease. The patient is considered to be indispensable and ultimately responsible for the maintenance of their own health status, thus showing (not just telling) the patient how to have and maintain proper health is our focus. At American Health & Performance Center, our Doctors of Chiropractic have received extensive post graduate training that focuses on diagnosis, treatment and prevention of disorders of the spine and extremities. American Health & Performance Center treatments emphasize fast pain reduction and restoration of function. Our doctors utilize the worlds most powerful therapeutic laser protocols and many other non-invasive treatment techniques. These may include gentle joint and soft-tissue mobilization, therapeutic exercises, as well as health and lifestyle counseling. We have a team approach to treating each individual patient. We incorporate mainstream medical diagnostics and employ many Eastern and Western based techniques. This includes conventional physical modalities such as massage, Myofascial release techniques (MRT), cryotherapy, and moist heat, along with nutritional supplements, acupuncture, herbal remedies and state of the art laser therapy. At American Health Laser Clinics a patient-centered approach focuses on the patient rather than the disease. The patient is considered to be indispensable and ultimately responsible for the maintenance of their own health status. Thus showing (not just telling) the patient how to have and maintain proper health is our focus. The latest non-surgical therapy for the relief of back pain! American Health & Performance Center is dedicated to being an innovator in the treatment of non-surgical lower back pain and sciatica. Our constant search for the latest technology to help our patients get out of pain and back to function in the least amount of time possible, resulted in the addition of the FDA cleared Spinal Decompression technology. Thanks to the concerted efforts of a team of top physicians and medical engineers, Spinal Decompression Therapy was developed to effectively treat lower back pain and sciatica resulting from herniated or degenerated discs. Spinal Decompression Therapy not only significantly reduces back pain in many patients, but also enables the majority of patients to return to more active lifestyles. 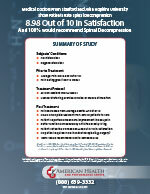 Data from a recent multi-center pilot study utilizing Axiom Worldwide's DRX9000 Reveals a Dramatic Success Rate of 88.9%! The clinical results of an IRB-approved prospective, multi-center, phase II, non-randomized pilot study utilizing the DRX9000 was presented at the annual New York State Society of Anesthesiologists PGA meeting in New York City December 7-11, 2007. The study, authored by Dr. John Leslie of The Mayo Clinic, was designed to evaluate the effectiveness and safety of the DRX9000 in the treatment of chronic lower back pain. 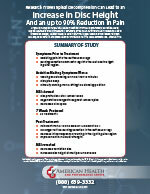 Patients enrolled in the study had suffered an overall average of ten years of chronic back pain. After two weeks of treatments on the DRX9000 there was a 50% reduction in pain scores and upon completion of the entire six week protocol an amazing success rate of 88.9% was documented. Non-Surgical Spinal Decompression, not to be confused with linear traction, slowly lengthens and decompresses the spine, creating negative pressures within the discs. This reversal of pressure creates an intradiscal vacuum that helps to reposition bulging discs and pull extruded disc material back into place, taking pressure off pinched nerves. Spinal experts believe that nutrients, oxygen, and fluids are drawn into the disc to create a revitalized environment conducive to healing. 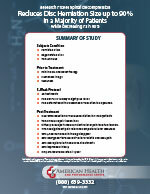 What Happens During A Typical Treatment? During a session of spinal decompression, you will notice a slow lengthening of your spine as your discs are gradually decompressed and relieved of pressure. The treatment process is safe and relaxing. 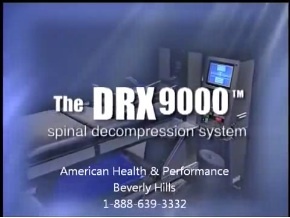 Each DRX-9000 treatment session lasts approximately 10-28 minutes. However, patients may require a combination of modalities to reduce pain quickly and expedite the recovery process. Commonly, we combine massage therapy, High Intensity Laser therapy, and Gameready coolers to a typical treatment plan. A typical spinal decompression treatment protocol consists of about 20-25 sessions over three to six months. Some conditions require fewer visits; some require more. Many patients report relief from their pain and other symptoms during the first few treatment sessions, and most experience dramatic pain relief after completion of their prescribed treatment program. Why Is Spinal Decompression Different from Traction? Why are Some Spinal Decompression Tables Better Than Others? While traction, physical therapy, and manipulation may reduce disc pressures to as low as 40 mm Hg, only spinal decompression has been shown to achieve negative pressures within the spine. 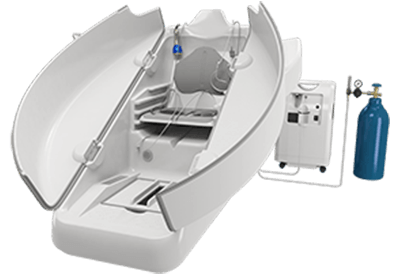 It has been clinically proven that spinal decompression creates negative pressures as low as -110 mm Hg3 within the injured disc during the treatment session. Normally, pulls exerted on the spine trigger sensory receptors in the back to tighten the muscles surrounding the vertebrae and discs in an effort to protect them from injury, a mechanism in the body known as the proprioceptor response. Spinal Decompression bypasses this response by slowly pulling on the spine and relaxing the back over an extended period of time, allowing the spine to be repositioned without tension and without setting off the "Lock down" proprioceptor response. On many patients we implement a specific set of fibrosis release procedures developed by Medical Doctors to reduce chronic nerve pain. This technique is designed to ‘floss the nerve through the nerve channels at the spine. This non-invasive ‘flossing, is intended to free up the nerve from any bound scar tissue surrounding it. This works great for people looking for a non-surgical, non-invasive approach to treating conditions such as sciatica (radiating leg pain) or arm tingling and numbness. This technique has also been proven effective even when surgery or pain medications have failed. In some rare cases, we must do the manipulation and fibrosis release procedures under anesthesia. Manipulation Under Anesthesia (MUA) /Fibrosis Release Procedures (FRP) are neither new nor experimental. It has actually been practiced since the late 1930's and used by osteopathic physicians and orthopedic surgeons for many years as a proven form of treatment. During the past twenty five years, interest in MUA/FRP has greatly increased thanks to tremendous advances lately achieved in the science of anesthesiology. Therapeutic exercises are aimed at achieving and maintaining physical fitness. Our therapeutic exercise programs are designed to allow you to phase through the rehabilitation process by controlling inflammation, restoring motion, developing muscular strength, power, and balance, all in an effort to return to regular activity. Working with professional athletes for 30 years has helped develop a program that can be customized to any patients needs. Our team of doctors and specialists understand that in order to prevent injury or re-injury exercises designed for you and your condition are of the upmost importance. At American Health & Performance Center we optimize performance by properly addressing joint biomechanics. Our performance enhancing experience gives you the edge you need to be the athlete you want to be. The Best Proven Post Surgical Rehabilitation! Why go through surgery alone when you can have a therapist by your side! Get back to activity in less time with the most innovative post surgical technology! 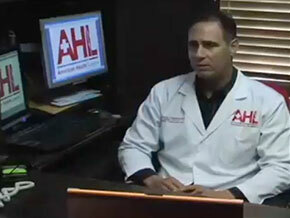 At American Health & Performance Center we understand that sometimes surgery is the only option. However, you do have options with regard to post operative care. Our experience dealing with professional athletes has lead to pioneering quick, less painful, and faster recovery protocols. When you need to go through surgery it is important to have a knowledgeable team that can work alongside you and your surgeon to help answer any questions or concerns you may have in your post surgical rehabilitation process. Our focus is to provide you with protocols during the window of time directly pre and post surgery and before standard physical therapy begins. We provide you with the tools you need to help make your recovery process as comfortable and as quickly as possible so that you can get back to the activities you love. We provide our patients with specific cooling systems called Gamereadys so that they can start icing and compressing the area before surgery and immediately after the surgery to decrease recovery time and keep inflammation levels down. We also provide Continuous Passive Motion Machines or CPMs so that when indicated, patients can start with passive mobilization to increase circulation and decrease scar tissue build up from non use. Part of our post surgical rehabilitation will also include High Intensity Laser Therapy to increase healing of the tissue and decrease inflammation. Offering the most advanced Pulsed Electromagnetic Fields on the market! Find relief from chronic pain through the use of magnetic field technology with the PEMF device. The PEMF technology works to create balance within the cells depolarization potential. Studies using the PEMF show that this technology may actually normalize this potential, stimulating a repair response to occur within the cell. Treatments using the PEMF device are safe, easy to use and provide profound results with no negative side effects. Having healthy cells is not a passive process. Active, regular tuning-up of our cells is not only feasible, but also necessary to slow aging and reduce the risk of cell dysfunction. We are, after all, only as healthy as our cells. Imperceptible cell dysfunction that is not corrected early can lead to disease. Fine-tuning can be done daily in only minutes, using pulsed electromagnetic fields (PEMFs). In addition, when there is a known imbalance (when symptoms are present) or there is a known disease or condition, PEMF treatments, used either alone or along with other therapies, can often help cells rebalance dysfunction faster (Dr. Oz). 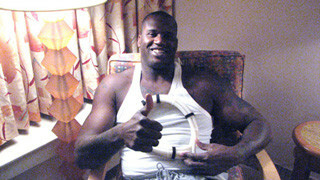 Pro Basketball Superstar Shaquille ONeal is a long time Pulsed Energy user! The PEMF technology works to create balance within the cells depolarization potential. Studies using the PEMF show that this technology may actually normalize this potential, stimulating a repair response to occur within the cell. The PEMF technology provides what is referred to as a through and through contraction of the muscle tissue that allows for a rebalancing to occur at the cellular level. When voltage imbalances in cells are either too high or too low this can cause a call to malfunction. PEMFs have been used extensively for decades for many conditions and medical disciplines, and results can be seen in animals as well as humans. The National Institutes of Health have made PEMFs a priority for research. In fact, many PEMF devices have already been approved by the FDA, some specifically to fuse broken bones, wound healing, pain and tissue swelling, and treat depression. Most therapeutic PEMF devices are considered safe by various standards and organizations (Dr. Oz). All energy is electromagnetic in nature. All atoms, chemicals and cells produce electromagnetic fields (EMFs). Every organ in the body produces it own signature bioelectromagnetic field. Science has proven that our bodies actually project their own magnetic fields and that all 70 trillion cells in the body communicate via electromagnetic frequencies. Nothing happens in the body without an electromagnetic exchange. When the electromagnetic activity of the body ceases, life ceases (Dr Oz). Ozone is an inactivated, trivalent (O3) form of oxygen (O2). It is considered one of the most potent oxidants in nature. Ozone was first discovered by chemist Christian Frederick Schonbein in 1840 as a disinfectant (Bocci, 2011). Ozone therapy causes your Red Blood Cells (RBCs)to generate more bioavailable oxygen. Ozone stimulates the production of a compound called2,3diphosphoglycerate(2,3DPG). DPG controls the movement of oxygen from red blood cells to body tissues. In other words, 2,3-DPG enables your RBCs to release a larger payload of existing oxygen. Normally hemoglobin only releases about 50% of its carried oxygen. This can result in hemoglobin releasing 75% of its oxygen or a 33% increase in overall availability. Since oxygen is often the primary limiting step in healing, this benefit of ozone may be responsible for the often miraculous healing effects of ozone. Ozone therapy increases RBC ATP. The increased energy in the red cells enable newly created RBCs to become supergifted in the words of researcher Velio Bocci, MD of Italy. Ozone activates the Krebs cycle by enhancing oxidative carboxylation of pyruvate, stimulating production of ATP. It also causes a significant reduction in NADH and helps to oxidize cytochrome C.
Ozone therapy improves red cell flexibility, meaning your blood will flow much better. RBCs will be able to flex better to get through the small capillaries. They will carry a higher negative electrical charge so that they repel each other and dont stack together. This improves rheological (flow) properties of your blood, enabling more oxygen transport. 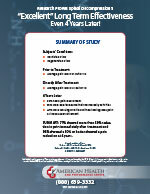 Ozone therapy appears to turn on overall mitochondrial function in your cells. Mitochondria are your cell furnaces where energy is made; more energy, more ability to repair, no matter the tissue or organ. This conclusion is based on basic science research of German and Cuban researchers showing more oxygen consumption in tissues that have been exposed to ozone. Researchers Bocci in Italy and Silvia Menendez, PhD and her team in Cuba have determined that ozone modulates the immune system. In other words, where there is inflammation that is not needed, ozone will dampen it, and allow inflamed tissues to heal. Where the immune system is weak, ozone therapy picks it up. The net effect of ozone therapy is to bring your immune system to a healthier set point of balance. You need inflammation to fight invaders and repair, but when inflammation is not turned off, the inflammation itself then becomes destructive to your tissues. In the case of joints, modulating inflammation with ozone can sometimes lead to instant results. While the exact mechanisms of action are not clear we do know that the NAD NADH ratio is modulated with ozone and plays a role in overall inflammation and tissue break down and build up forces. In order to clarify the immune-modulating properties of ozone, one study also investigated: a) the effects of stimulation on isolated peripheral human blood mononuclear cells (PBMC) from normal donors with either ozone or ozonated serum; b) the range (in terms of O3 concentrations) of the therapeutic window; c) the stimulatory and toxic effects and d) the pattern, of both proinflammatory and immunosuppressive cytokine production up to 86 hours after exposure to O3. Results show that ozone can act as a weak inducer of cytokines producing IL-6, IL-4, TNF-α, IFN-γ, IL-2 and IL-10 and, most importantly, there is a significant relationship between cytokine production and ozone concentration. Analysis of the proliferation index shows that progressively increasing O3 concentrations inhibit IP and therefore appear cytotoxic. Ozone and its metabolic products are directly toxic to pathogens. In fact ozone virtually instantly punches holes in the membranes of bacteria hemorrhaging them on the spot. In contrast, chlorine compounds, well known as disinfectants, are 100x slower! When it comes to viruses, these stealth pathogens MUST gain entry to your cells to wreak their havoc, no matter the virus. Research has shown that most viruses (at least every one Ive looked at) require fully functional and reduced sulfhydryl groups (SH) on their outer shell to attach to and enter your cells. The SH groups are the "fingers" viruses use to open and enter your cells according to world literature. Ozone increases RBC flexibility (PDF) How Ozone Treatment Affects Erythrocytes. Available from: https://www.researchgate.net/publication/224830959_How_Ozone_Treatment_Affects_Erythrocytes [accessed Jun 28 2018]. A type of Electrical Stimulation that drives a specific salt and iodine solution into the affected cells to flush out inflamation and decrease pain. A deep heating tool used for chronic type pain and muscle spasms. A soothing sound wave designed to create a deep heating effect to stimulate blood flow and cellular circulation. A specific taping technique with various uses in both Professional athletics and everyday function and swelling. We customize foot orthotics based on the patient's condition. Orthotics address various hip, knee, back, foot and ankle biomechanical dysfunction. Specific soft tissue mobilization based on tight, spasmed muscles and joints to help release the muscle and regain proper joint range of motion and function. We observe your gait (the way you walk and/or run) when indicated or desired in order to gain more insight into possible underlying musculoskeletal imbalances which may contribute to a patient's particular condition. This works well with conditions that just won't seem to go away, as well as with athletes who either want to gain a competitive edge or help treat a recurring condition. 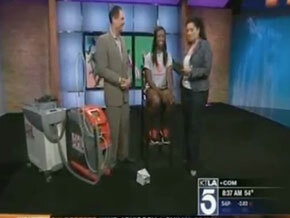 Through American Health & Performance Center corporate Dr. Frederick offers a variety of laser coarses for doctors, team trainers and physical therapists. 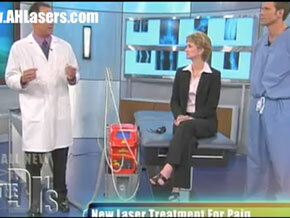 Get more information on Therapeutic Laser Technician Certification. Through Innercalm and Associates, Dr. Frederick offers continuing education coarses in 20 states. Get more information on Sports Medicine Continuing Education. Contact us about registration or future seminars.